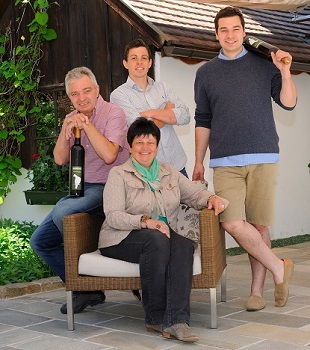 The Poysdorfer winery TAUBENSCHUSS, former "Aspergerhaus", was founded in 1670 and based on the experiences of many generations. The historic winery with its typical Weinviertler Tretten ( = open arcade passage ), is a frequently visited place for wine and art lovers. On 20 hectares of vineyards are planted only those varieties that provide excellent qualities of location, soil and microclimate. Therefore, the winery is one of the most awarded in the region.